Sometimes, we all need to be distracted from what is going on in our heads. This page is intended to provide links to a few mostly media-based things that can help, e.g. music, funny videos, cartoons. If you know of any good ones, please send us the link, along with a brief description of how you use them to help yourself. Or, if you’d like to share more information, you can write a full post about it. "Yeah I can do this!" anxiety buster - it starts with calming classical tones, and then builds in strength. Got me through a very stressful trip to a big city. Some of these are Facebook videos. If you don’t have an account, just click “not now” if it asks you to sign in. You should still be able to watch them. A 30 second clip of a cat watching a horror movie. Turn the sound up to hear the movie, and watch her pupils. Adorable green sea turtle hatchlings from Raine Island. 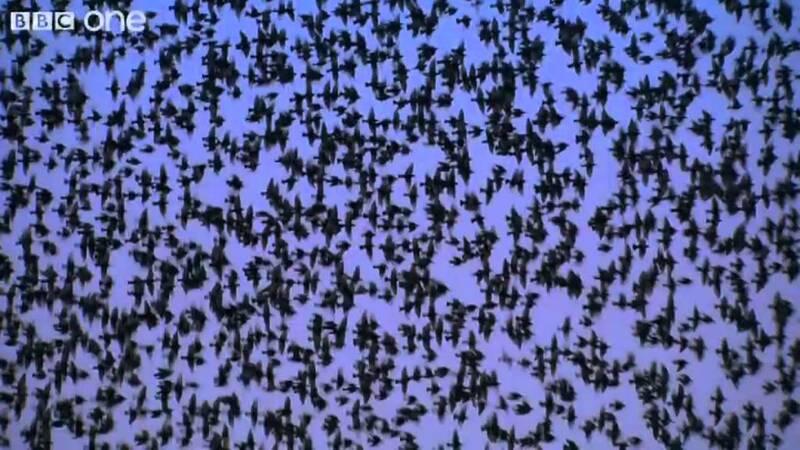 Starlings form stunning formations in flight. Documentary clip narrated by David Tennant.